Put your arms straight at your sides. Keep your feet hip width apart or somewhat closer. Head neck and hips should form a straight line from your head to your knees as in the first picture below. 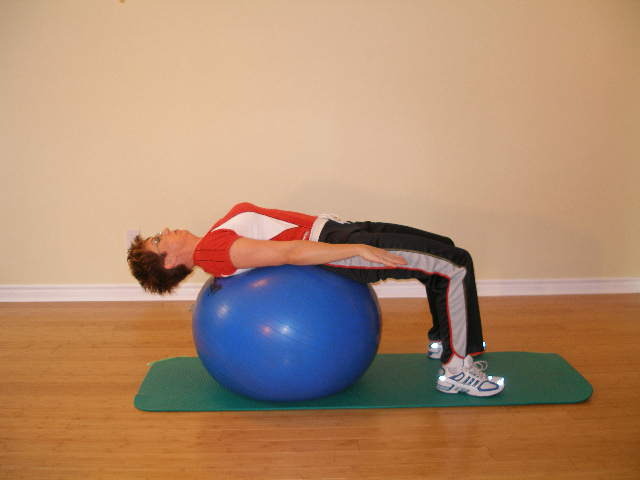 Contract your abdominal muscles, pull your right shoulder up and reach with your right hand toward your left knee. Visualize your right rib cage as moving toward your opposite hip. If this is too difficult, try Side Crunch with Knee on Floor.